Does the Portt correspondence mentioned in the blog article make any reference to the Culbertson Tract or officials associated with it from the Indian Office? 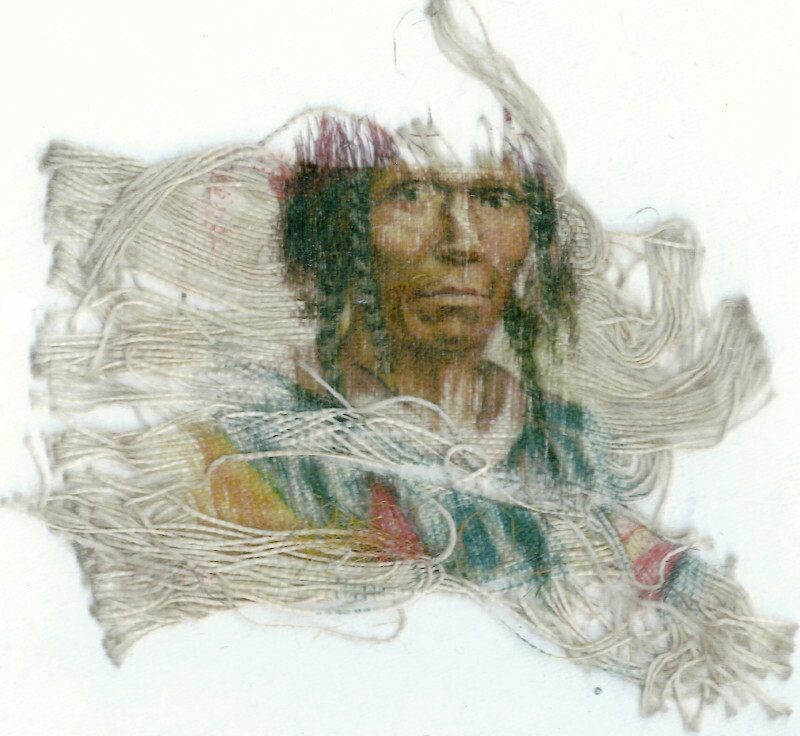 There are some letters in the Catalogue of Culbertson Tract Land Claim Documents Collection that refer to William Portt and John Portt, two of the brothers that were part of the Tyendinaga family to whom the family album belonged and we are assuming the silk cloth portrait must date back to the 1820s or 1830s time period. We have no documents that establish the origin or content of the portrait. what denomination is the bill in the bottom left hand corner of the portrait?? If you look you can see the bill, if you can ask the family to use a magnifying glass it would help identify a date. It is an American bill.